How to list your boat for sale by Atlantic Yacht and Ship : Atlantic Yacht & Ship, Inc.
Are you considering selling your boat? Here are some tips on how to list your boat for sale. For starters, to get the highest sale price, you must get your boat in showing condition. Not surprising, first impressions can make or break a deal! What does showing condition mean? It means the boat must be detailed and in some cases, professionally waxed to bring the brilliance back to the hull. Also, the interior and bilges need to be deep cleaned to rid of odors and appeal to potential buyers. To avoid misunderstandings later in the sales process, items not included in the sale as well as any clutter need to be removed. Further, routine maintenance should be current such as bottom cleanings and oil changes. Finally, it is highly recommended that the boat is run a few times in advance of sea trials in order to circumvent any mechanical issues that need to be addressed. For assistance in preparing your boat for sale, check out Atlantic Yacht Services in Dania Beach, FL. Our in-house waterside service department provides general yacht services. Your boat should now be ready for sale. It’s time to put your marketing into place. In days past, print advertising was the key. However, today’s Buyers are savvy and web presence takes a huge role in marketing. You must have a powerful website, good SEO, effective social media, emailing campaigns, banner ads, google ads, and a substantial presence on several multiple listing sites to reach today’s Buyers. This is costly and not what most boat owners specialize in. It’s time to solicit the assistance of a yacht broker. Why List with Atlantic Yacht and Ship? It’s important to select a yacht brokerage that represents your best interests. Not only should the brokerage have a proven track record, but also be adept in today’s technology and marketing methods. 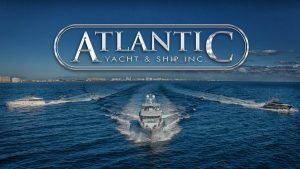 Atlantic Yacht and Ship, Inc. is your one stop resource for the highest quality sales and service in the yachting industry today. If you are considering selling your boat, contact our office for more information at 954.921.1500 or click here.